Even though the first week of December has already flown by, it hasn’t really sunk in yet. I can still leave the house without a jacket, and have barely started thinking about gift ideas, let alone started gathering materials to make them. Luckily, since winter has yet to really arrive, I know that when I take a walk down the strip tomorrow, I’ll be able to find a key ingredient to one of my favorite fall infusion experiments: beets. Yes, beets. Beets are a good source of vitamin C, and a rich source of Betaine- which incidentally cleans out your liver. Sign me up. 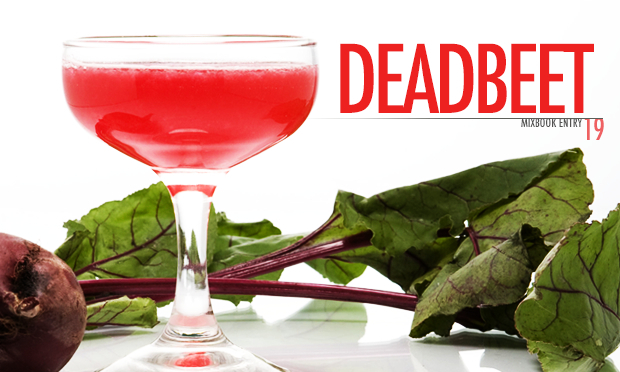 Pick up a few tomorrow so you can make this amazing cocktail- and do a little liver flushing at the same time. Wash 2 large beets, and cut them into small pieces. Add them to a clean glass jar with a lid, and add 1 bottle of Clique Vodka. Shake well 3x per day for about 2 days, until the Clique Vodka has taken on a vibrant pink color, and smells of beets. In a cocktail tin with ice, shake 1 1/4 oz beet infused Clique Vodka and 3 oz cranberry juice, then strain into a julep glass. Take a sprig of fresh rosemary, lay it in your palm, and firmly smack it with your other hand to release the essential oils. Stir the cocktail a few times with the sprig and drop it in. After trying this cocktail, I have a feeling that there will be quite a few Clique Vodka Beet infusions under the tree this year. Make sure you tag Instagram pics of your Clique Vodka presents with #CliqueShots, or just download the free DrinkyPal App.